TUALATIN — They've got the numbers. They've got the experience, and they definitely have the work ethic. Now, the Timberwolves are looking to turn all of that into success on the mats this season. The Tualatin High School wrestling team is taking some high hopes into the 2018-19 campaign. "This group has a great work ethic," Tualatin coach Matt Hamilton said. "They are bonding together as a cohesive group, with positive support throughout. That is a good thing as the long season grinds on. We are always working on grit — can never have enough grit — and they are embracing that process." The Wolves boast a strong group of returnees from last year's team that finished in fourth place in the team standings at the Three Rivers League district tournament. Among the returnees is senior Gavin Moore (expected to be wrestling at 220 pounds at the end of the season). 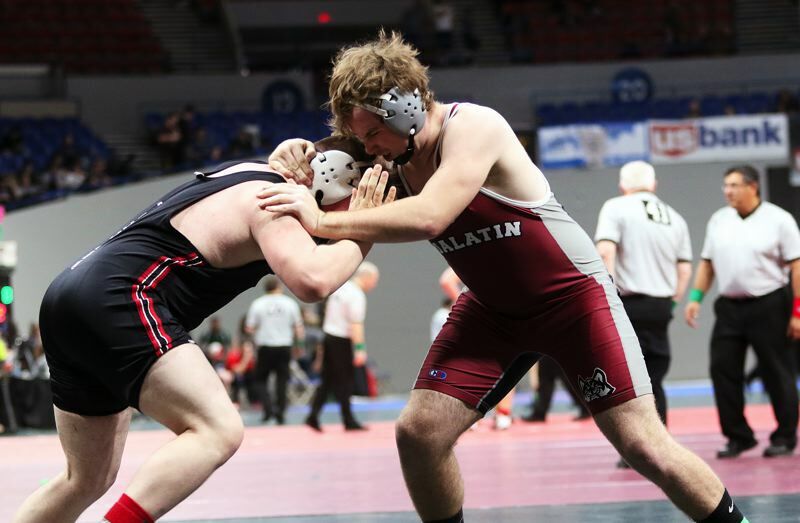 Last year, Moore placed fourth at 220 at the Three Rivers League district tournament and then powered his way to fourth place in that weight at the Class 6A state tournament. Moore is one of five Tualatin returnees who have state-tournament experience. Senior Argenys Abarca-Lopez (113) will be looking for a return trip to state after placing third at the Three Rivers League district tournament a year ago. Senior Sami Victoriano (126) was a TRL district champion two years ago as a sophomore, and he placed third at district at 120 last year. Junior Jake Reser (152) will be looking to get back to the state tourney again this year after placing third at 145 at district last year. Senior Justin DiCola (195) qualified for state two years ago as a sophomore and took fifth at district at 170 last year. Senior returnee Connor Lennehan (138) is a two-time district placer. Senior Quinn McCarthy (285) took sixth at district last year. The Wolves have some other wrestlers would could make an impact this year. Among them is senior Dane Norlin (220) who wrestled as a freshman and returned to the program this year. "He's a great competitor," Hamilton said. Sophomore Josiah Ingham will be at 132. "He's basically a tough competitor," Hamilton said. "We're looking for him to have a big season." Senior Jakob Beelar (138) a Washington placer as a sophomore, is back for his senior season at Tualatin. Senior Christian Bostwick will be at 160 and senior Pablo Rubio will be at 170. "They put in a lot of work over the summer and fall," Hamilton said. Junior Cody VanMeter (182) should be another key returnee for the Wolves. "He's a fierce competitor and mentally tough," Hamilton said. Arodi Serrano-Jorge will be at 285. "He's a tough competitor with a great attitude," Hamilton said. Among the top newcomers for the Wolves are freshman Vinny Roberts (106), freshman Dominic Borges (120), freshman Parker Johnson (126), senior Bryce Beck (132), junior J.T. Gile (138), freshman Brandon Chin (152), freshman Zach Hoekstra (160), freshman Jacob Helton (182), freshman Tommy Hutchinson (195), junior Brett Gydesen (220), freshman Nico Webb (220) and junior Elijah Garrison (285). "All of these guys have had some previous wrestling experience, or have been tough competitors in the room so far this season," Hamilton said. 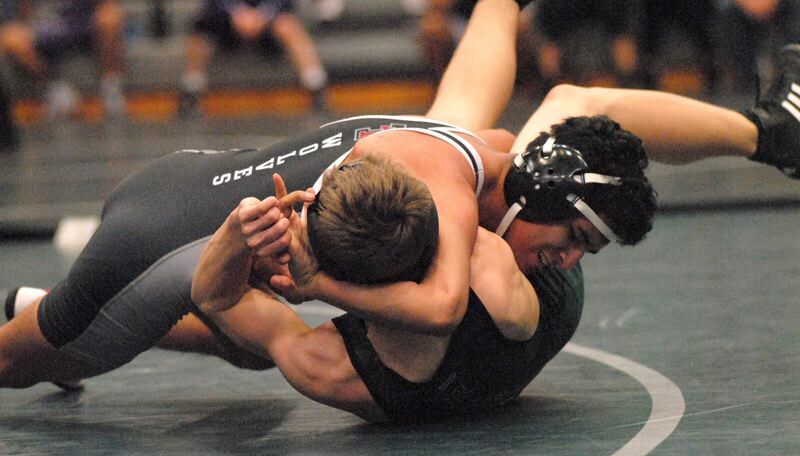 Other wrestlers on the Tualatin roster include senior Joshua Allen (106), sophomore Stowen Buckner (106), junior Steven Rodriguez (113), senior Ian Stuart (132), freshman Wainohia Fernandez (132), freshman Jared Douglas (132), freshman Gabe Ingham (132), sophomore Gabe Derksen (138), freshman Austin Lynn (138), junior Noah Brooks (145), senior Augusto Martinez (145), senior Luke Needleman (145), freshman Jose Garcia (152), senior Iverson Namper (170), sophomore Curtis Strahm (195), freshman Tommy Hutchinson (195) and senior Ishmael Lopez-Barbosa (220). As for the Three Rivers League, which lost Newberg and Sherwood, but gained Oregon City this year, Hamilton sees some good competition ahead for the Wolves. "It's always interesting when the league changes," he said. "We hope to work our way into the mix with West Linn, O.C., Tigard and Canby. But our goal is, and always has been, to send 28 of the toughest wrestlers regardless of JV/Varsity status to the district tournament to compete and contribute to the team." Tualatin got its season off to a strong start, taking first place at the Kirk Morey Invitational, held Friday at Reynolds High School. At the dual match event, the Wolves opened the tourney with a 66-18 win over Lincoln. Tualatin then defeated Corvallis 61-15. In the championship match, the Wolves downed Estacada 42-36. The Wolves will next be in action at the Rose City Championships, which will be held Friday and Saturday at Westview High School.